Our recently formed group continues to grow. We meet on the third Wednesday of the month in the Octagon room at 12.30pm. 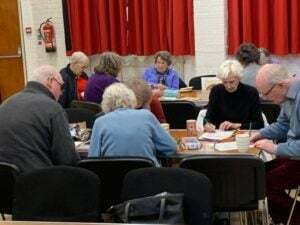 It’s a relaxing meeting where we share our thoughts, enjoy each other’s company and either colour or knit. We provide the tea you just have to bring your colouring pencils or knitting and sandwiches! Please come and try it.